ATHENS, Ala. – The Alabama South Division of the Open Series will open the 2018 season February 3, 2018, on Lake Eufaula in Eufaula, AL. 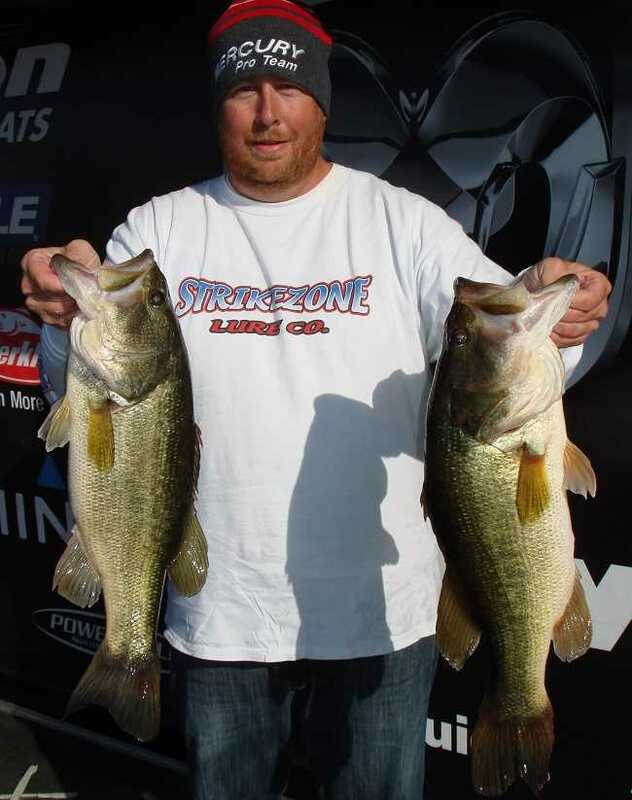 Dustin Wood of Eufaula, AL won the opening event last year (02/04/2017) with a five-fish limit that locked in the scales at 22.10 pounds anchored by a solid 6.04-pound bass. Dustin took home guaranteed $5000 check for the boater division victory. Robert Enke of Columbus, Ga claimed the victory for the co-anglers with a three-fish limit that went to the scales for 13.34 pounds anchored by a nice 7.42-pound bass. Enke took home $1200 for the co-angler division victory. The competitors will launch at Lakepoint Resort State Park, located at 104 Lakepoint Drive, Eufaula, AL, 36027. Anglers may begin fishing at 6:15 a.m. or safe light. The weigh-in will begin at 2:30 p.m. Registration begins at 4 p.m. local time at Lakepoint Resort State Park Lodge with the tournament briefing to begin at 7:00 p.m. Friday evening. Anglers fishing the Boater Division may weigh in up to five bass, each at least 14 inches for Largemouth and 12 inches on Spotted Bass and Co-anglers may weigh in up to three bass of the same length limits. In addition to cash and prizes for top finishers, boater and co-angler competitors fishing this tournament and Open Series events throughout the season may also win contingency bonuses from such sponsors as Triton Boats, Mercury Outboards, MotorGuide, T-H Marine, ABU Garcia, Maui Jim and Livingston Lures. See the manufacturer web sites for specific details on how to qualify for these bonuses. Ask for the Fisherman’s Rate of $89.00!! The Registration & Briefing for this event will be held in the Lodge at Lakepoint Resort State Park on Friday February 2, 2018 from 4:00pm to 6:30pm with the meeting and partner pairing at 7:00pm local time. All anglers are required to have in their possession a valid GA or AL Freshwater Fishing License. Go to www.gofishgeorgia.com or call (800) 366-2661 to purchase a Georgia Fishing License. To purchase an Alabama fishing license call (888) 848-6887 or online www.outdooralabama.com. The best Open Series anglers from across the nation can advance to the no entry fee 2018 Ray Scott Championship, location to be announced in April 2018. For more information on this tournament, call Billy Benedetti, tournament manager, at 256-230-5632 or ABA at 256-232-0406. On line, see www.ramopenseries.com . American Bass Anglers commitment is to provide low cost, close to home tournaments for the weekend angler and at the same time offer each competitor an upward path for individual angler progression. For more information about American Bass Anglers and the American Fishing Tour, the Open Series, the 100% Plus Team Tour, or the American Couples Series visit www.americanbassanglers.com. ABA is sponsored by: Triton Boats, Mercury Marine, Best Western Hotels, Livingston Lures, Garmin, Power-Pole, T-H Marine, Hydrowave, Maui Jim, Abu Garcia, Berkley, MotorGuide.